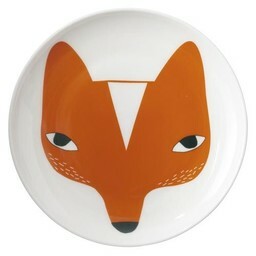 A beautiful fox to do the dishes with. This organic dishcloth brings some colour into the kitchen. Give it as a present or hold it yourself. 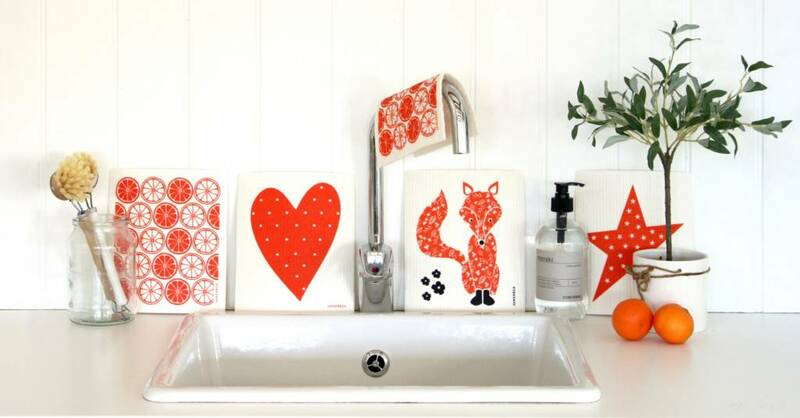 This functional Swedish dishcloth with lovely fox is guaranteed to keep you smiling by adding functional fun and colour to your kitchen. Ideal for washing up, general cleaning and mopping up the spills. It is part of the Swedish kitchen culture. Since 1950s it has been a feature of Swedish kitchens, so they are tried and trusted. • long lasting and eco-friendly. (100% Bio degradable). Made from cellulose and cotton, natural and renewable materials. After their long and useful live, it can go straight onto the compost heap. We can't do the washing up for you but we love to inject some colour and and fun to make your kitchen some to life and to make your daily chores an everyday pleasure! Colour: orange and black on off white. Material: 100% natural materials – cellulose & cotton. Washable at 60° C.
Dimensions: 20 x 18 cm.